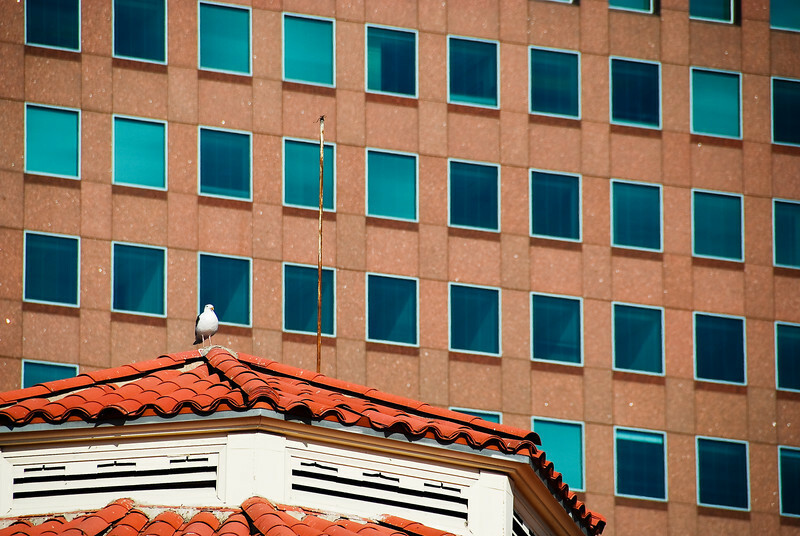 Seagull on top of Peet's Coffee and Tea in Westwood. I'd be much happier with this photo if I'd had a longer lens, so the gull was a little more obvious. Even so, I like how I was able to make the background all windows with my 200mm. Very neat shot! I really love the colors and the comp on this! Well done!